This is a blog I wrote last year but I wanted to share on this site! Enjoy! I designed a training session, which involves the Get-Up (GU) and the One Handed Swing (1H Swing). I designed this session to help clients gain a better understanding of the Get Up. I found myself revisiting the same corrections each week with each client; therefore I designed this easy but not simple session to work on the program minimum. It is no secret I am fascinated with the movement of the human body. For twelve years I worked in the rehabilitation and strength and conditioning setting with both general population and division one athletes. I live and coach by the model of technique first and load second. In my eyes movement trumps everything. I found that the Get-up(GU) and One Hand Swing(1H Swing) session I designed gave just enough load to the Get Up as well as the 1H Swing to see significant improvements in both movement and strength of both. The emphasis is to be placed on coaching the client and performing the movements in a controlled manner. Do not rush, your goal is to look; as Dan John would say; “graceful” in the Get Up and Swings. 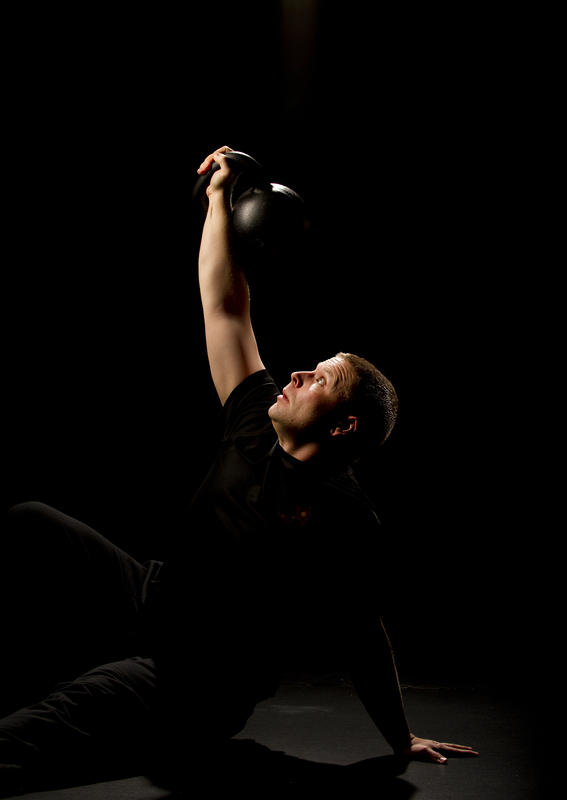 Use a kettlebell that you can comfortably perform 10 1H swings. 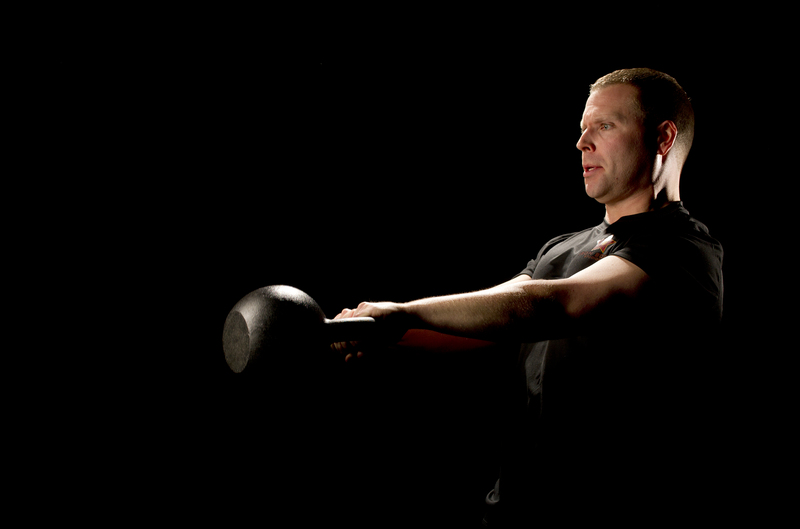 Take a drink and shake it out now return to training with the kettlebell in the Left Hand. 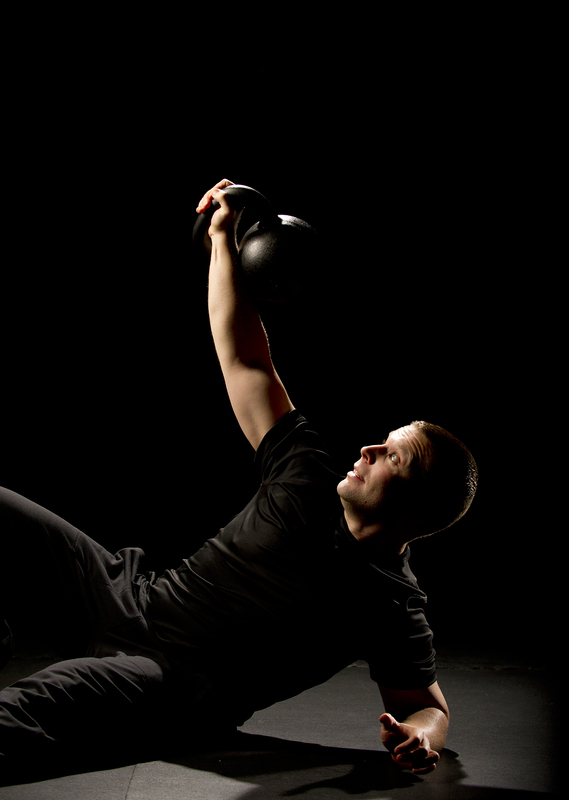 Everyone of my clients performed this sequence of Get Up segments to 1H Swing twice with the same kettlebell. I found and witnessed a strong relationship to the Get Up and the 1H Swing. As the client improved on each segment of the Get Up the technique for the 1H Swing improved as well. My feeling is that this was a result from further understanding the appropriate places for tension in the body while performing the movement. As well as all the improvements noted above. Work on this Get Up and 1H Swing training session with yourself and/or your clients. Embrace the changes in mobility and stablity as the sequences progress.